A $10 meal for four that actually costs $30, a credit card that makes you spend $12,000 for a $20 reward and olive oil that is anything but virgin have all netted Shonky Awards from consumer watchdog Choice. 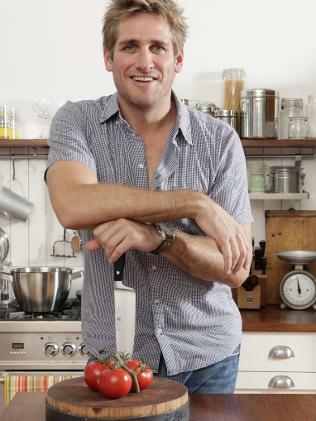 The Coles "Under $10 meal promotion", fronted by celebrity chef Curtis Stone, was singled out for failing to include all the ingredients in the price of its budget meals that are supposed to feed a family of four. "If you include the uncosted 'pantry items' (including 3/4 bottle of wine) in Curtis' $7.76 Coq au vin it would actually cost more than $30," Choice spokesman Christopher Zinn said. The Commonwealth Bank was given a Shonky for its "poor and sneaky" Awards Program that provides a $20 flight reward only after the customer has spent more than $12,000 in a year. "(T)he way the awards points are converted to Qantas Frequent Flyer points is a low-flying jest," Mr Zinn said. "One point only equals half of one frequent flyer and that salient fact is hidden away in some mighty small print." Another Shonky winner was a range of olive oil brands that falsely said they were "extra virgin". "Choice tested 28 brands of extra virgin olive oil and found half were nothing of the sort due to poor storage," Mr Zinn said. "The mainly Mediterranean manufacturers' cried foul blaming everyone else in the supply chain. "But consumers still aren't always getting true extra virgin quality at the point of sale, despite paying a premium. "Ultimately, Choice wants "extra virgin" to be regulated under the Food Standards Code with mandatory requirements that all olive oils labelled 'extra virgin' meet basic purity and quality standards for the duration of their expected shelf life, as well as carry a suitable date so that consumers are able to choose the freshest oils." Another product, Nurofen, earned a Shonky for labelling certain products as being for specific types of pain - and charging a premium - when in fact the ingredients were identical. "The shonkiest aspect of this type of marketing is that the fast-acting painkillers labeled for specific pain types are more expensive," Mr Zinn said. Appliance manufacturer LG were given a Shonky for claiming one of their fridges was more energy efficient that it was. "LG have form for getting their stars mixed up in the past both washing machines and air conditioners have had their energy efficiencies overstated," Mr Zinn said. Choice was also unimpressed with the Power Balance band which claimed to promote natural energy flow. Mr Zinn said the product was "simply just a rubber band bracelet with a plastic hologram". A rope by company Medalist was named and shamed for creating a product that looked like a proper climbing rope but was too weak. And a website, Babynamemeans.com, was named for secretly signing up customers without their knowledge and then charging them $144 for a minimum one-year subscription. "This is the fifth year of the Shonky's and you'd think most companies would be doing their best to ensure they're delivering good honest products and services," Mr Zinn said. "Yet year after year we're continually amazed by marketers' efforts to take Australians for a ride." Neurofen drives me crazy also!!!! Same active ingredient in every type of neurofen. Like they have some magic ibuprofen the just targets specific pain. Where do you find this crazy stuff bro??? I hate the way additionally that doctors are so in bed with manufacturers, i had a dentist tell me last week that the pbs substitute wasn't the full strength,and i 'had" to get the name brand "IBILEX"... two chemists i spoke with both strongly disagreed.